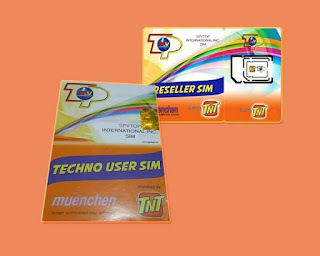 One of the new offer to try if you’re a Talk N Text subscriber is the Techno User SIM or “SuperSIM” offered by the loading company Self-Load Prepaid Ventures Internationa (SPV). Just like other prepaid loading business, they offer discounted products to give their customers an opportunity to earn. Since they are in loading industry, the SIM that they are using is powered by Smart/TNT network and its LTE ready. You can use the Techno SIM if you want to be a load retailer or even use it for personal purpose to avail the exclusive offers and discounted promos. You need to avail Techno SIM from SVP TNT distributors and resellers on your location. If you’re asking how much is the SIM card package, we cannot give you the exact suggested retail price. Due to limited supply and demand, resellers are taking advantage of the pricing of this Super SIM. You can inquire from at load retailers nearest you or just head to Facebook and search for Techno User SIM resellers. Take note, make sure to check the sellers review and feedbacks before you transact with them to avoid being scammed online. You can also register other promo in TNT Babad Apps using this SIM.